USFDA has recently given its approval to the pharma major Lupin to market generic Aricept tablets used for treatment of dementia. 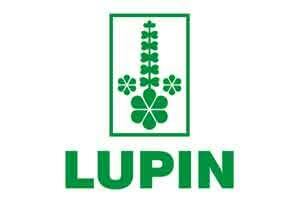 The company’s US subsidiary, Lupin Pharmaceuticals, would commence promoting the product shortly in the US, to grab a share of the lucrative Aricept US sales of $52.3 million (IMS MAT June 2015). “…it has received final approval for its Donepezil Hydrochloride Tablets, 23 mg from the United States Food and Drug Administration (FDA) to market a generic version of Eisai Inc’s Aricept tablets,” it added. Lupin‘s Donepezil Hydrochloride Tablets are the AB rated generic equivalent of Eisai Inc’s Aricept tablets and is indicated for the treatment of dementia of the Alzheimer’s type. In a separate filing, Lupin said it has also received final approval for its Blisovi 24 Fe Tablets from the US FDA to market a generic version of Warner Chilcott’s Loestrin24 Fe Tablets. Its US subsidiary Lupin Pharmaceuticals Inc would commence promoting the product shortly in the US, the company said in a statement. Lupin’s Blisovi 24 Fe Tablets are the AB rated generic equivalent of Warner Chilcott’s Loestrin24 Fe Tablets. The company said it is indicated for the prevention of pregnancy in women who elect to use oral contraceptives as a method of contraception. Loestrin24 Fe had US sales of $56.8 million (IMS MAT June 2015).